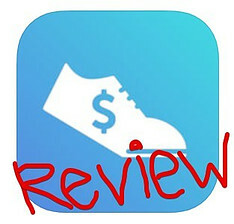 Cash For Steps App Review – Scam or Legit? The Cash For Steps is a free app available for iOS devices where you can get paid to take steps, aka walk. It sounds pretty awesome and all, but is it really? Or… Is this just going to be a waste of time scam that is going to leave you disappointed at the end of the day? 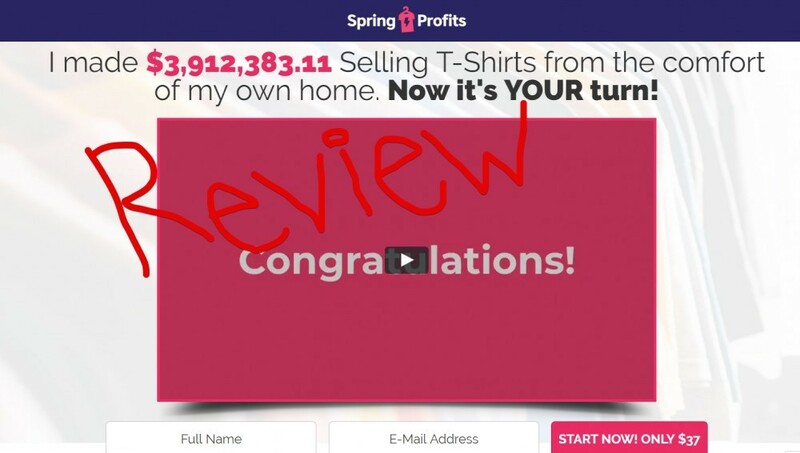 The purpose of my quick review here is to explain what exactly this app is, how you can make money, and how much you can realistically make so that you have a better idea of what you’re getting into if you do decide to download it. While you definitely can make money with this app, for a lot of people it probably is not going to be worth the time and you will see why. As mentioned, this app is only available for iOS devices, but maybe this will change in the future. In a nutshell, this app pays people to walk. Basically what you do is… Well… Walk as normal. This is similar to the popular app called Sweatcoin. You can sync the app with a Fitbit or Apple watch and then all you have to do is open up the app one time a day for your steps to be synced in order for you to get credit for them. There is no need to have the app open all the time. Open it up once a day and allow it to sync. This is good because you don’t have to worry about your phone’s battery getting drained from having the app running all the time, which is a problem with a lot of other similar apps out there. Well, obviously you make money by walking, but how exactly do you get paid? Do you have to take a certain number of steps? Is it only the top people they get paid? Can you take just one step per day and make money? *Each step is worth one point. So how it works is they have a big leaderboard inside of the app where you compete with other users. The goal is to stay in the top 100, which gives you a chance of earning one dollar per day. What they do is select 10 people out of the top 100 and reward them with one dollar. It used to be only out of the top 50 that they selected winners, but the have since expanded this and it will likely expand further in the future as this app becomes more popular. It doesn’t matter if you are ranked number 100 or number one, you all have the same chances of winning if you are ranked in the top 100. Check-in – If you check in every day you will be able to earn $1 every 3 weeks, or 21 days. Loyalty – Here you can earn $1 every 50 days just for having the app installed on your phone. The cash out options are a bit disappointing. They only offer you the ability to cash out your money via Amazon gift card or iTunes gift card. The Amazon gift cards start at $10, so you will need at least $10 in your account before cashing out. For an iTunes gift card you will need at least $15. How long will this take? Well.. That all depends. However, you definitely shouldn’t expect to be getting paid within the next month or so. This is a very slow earner. This app is definitely best suited for people who walk a lot, such as people who have jobs where they are constantly in motion. The reason for this is because your best chance of earning is to get and stay in the top 100, and in order to do this it looks like you will probably need over 15,000 steps a day. Of course there is no set number that you need to achieve, because it is based on competition from other users, but generally speaking you’re going to need to walk a lot. This isn’t like the Sweatcoin app where your steps add up day after day. And you also have to keep in mind that this has a very limited income potential. You certainly are not going to make much even if you do walk a heck of a lot, so with this in mind it is also best suited for someone who is looking for a little extra pocket change. As mentioned, you have the potential to earn money based on your steps for a given day. The steps do not rollover and accumulate day after day, and so this means that if you want the most potential to make money with this app you are going to have to walk a lot per day. Obviously there is very little income potential here. But then again, what can you really expect from a free app like this. You’re getting paid for doing what you already do, and that is pretty darn good even if it is just getting paid a dollar here and there. It’s a bit disappointing that PayPal is not a payment option. This is an easy way to get paid and to have money you can do whatever you want with. They do offer Amazon gift cards, which is another good option, but I would like to see PayPal added in the future. Conclusion – Worth Downloading or Not? This all depends on what you are looking for. The app is definitely legitimate and you can make money with it, just by walking, but it is probably only going to be worth it for those who walk a lot on a daily basis and you are just looking for a way to earn some extra pocket change every once in a while. While there are some downsides, there definitely are some pros to it as well, such as that it is not going to drain your phone’s battery and you don’t have to change or do anything differently out of your day, other than open the app one time which is only going to take a few seconds. Getting Amazon and iTunes gift cards just by walking…?? Even if it does take a while to be able to actually get these gift cards it still might be worth it. As I said, it all depends on what you are looking for. This definitely is not a big earner but feel free to check out my top picks for making money online if you are looking for something more lucrative. VOXXlife is a scam? – Are The Rumors True? VOXXlife… Is this place a scam? Or the rumors out there on the Internet true? 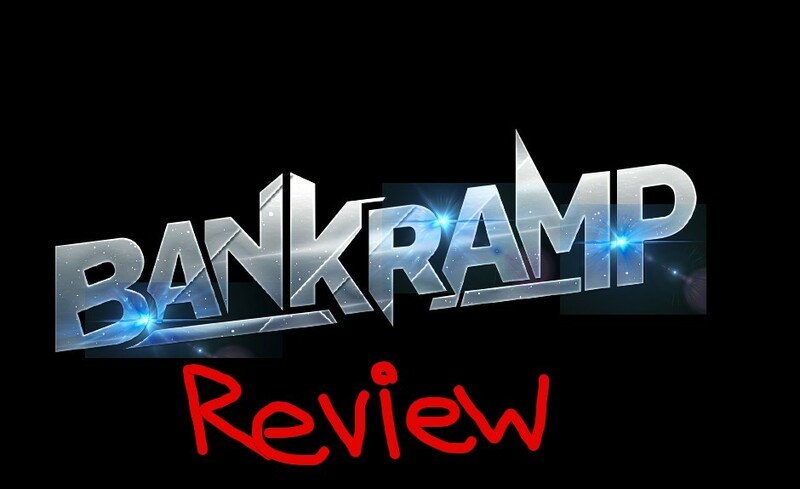 Welcome to my review! Here you are going to get a good overview of what is going on here and my honest opinion of whether or not this place is a scam. PS: I am in no way affiliated with this company so information you are going to get here is actually going to be unbiased, not a bunch of promotional crap that is misleading and gives you the wrong opinion about things. In a nutshell, VOXXlife is a MLM company that sells socks and insoles which was created by a guy named Jay Dhailiwal, who is the CEO of the company. This private company has the goal of drug-free wellness and optimal health for all, all stemming from what they call Human Performance Technology, or HPT, which is their own product technology that can supposedly reduce stress, increase strength, increase balance and support, and more. The products are promoted as being good for people who lack energy, have pain, and/or have limited mobility. Overall they seem like good products but are without a doubt overpriced in my opinion, which is pretty typical of MLM companies like this. Do The Products Even Work? Overall the socks seem like pretty well designed products. They provide compression arch support for support instability as well as HPT technology on the ball of the foot for increased strength and balance. The insoles supposedly optimize stability and balance the nervous system. The HPT technology for strength and support in this product is included in the heel instead of in the ball of the foot where it was for the socks. These are said to be anatomically designed for “ultimate fit and form”, but this is going to vary greatly from person to person. These are not form fitted and because of this they are simply not going to be as effective for everyone. Sounds cool, but what does the science say? HPT tech comes from lots of research done into the different sensory receptors of the brain, accupuncture’s effect on brain activity, dermatome stimulation and somatic pathways. A lot of thought goes into this technology and it is far from just another hyped up over-priced product that isn’t going to do a thing. But of course you have to take these statistics with a grain of salt. What are people who bought these products saying? If you read reviews from people who have actually bought these products and try them out for themselves you are going to find mixed opinions. There our people who claim to have put on the socks and experienced noticeable pain relief within hours, as well as feet and a leg soreness lessening noticeably. In the same goes for the insoles. However, of course you are also going to find reviews claiming that these things don’t do a darn thing and call them a scam. As with any type of health products, people’s bodies react differently and you also have to realize that there could be many different causes for symptoms such as foot pain, back pain, etc. So while these products are not a “cure all” (as some associates might be promoting them as), they do seem to work for some people. Have you heard the rumors that VOXXlife is a pyramid scheme? Oh you haven’t?… Well I guess now you have. I’m joking though… It is not a pyramid scheme although it does have the typical pyramid-scheme -like structure of a MLM, because it is a MLM. So obviously you’re going to be able to sell these products yourself and earn commissions… Which range from 25 to 50%. But there is a heck of a lot more to the compensation plan than just this. As with most MLM’s, there are a handful of different ranks that you are able to move up and increase your earnings by increasing the size of your downline. There are 7 leadership ranks total and you can earn down to 8 levels. Well you see…. With a MLM opportunity like this one of the main ways to make money is to recruit in other associates beneath you. Rather than just selling products, you also recruit in other associates that sell products and recruit in other associates… And so on. When you personally recruit in other associates they go to your level 1, when they recruit in associates they are placed at your level 2, and so on and so forth… All the way down to level 8. You will earn 20% commissions from the people on your level 1 that you directly recruited in as well as 2.5% commissions on all of the other levels, as you can see above. Sounds like a pyramid scheme doesn’t it? Ya… It does… But believe it or not this is legal because this company is selling legitimate products. I can’t argue with the fact that the compensation plan resembles a pyramid scheme very much however, which there is a big problem with as I will go over shortly. How much opportunity is there really? Now if you no me then you know I am not a very big fan of MLM’s. That said, VOXXlife does seem to be any market that is largely untapped and there is probably some decent opportunity here, at least better than most MLM’s out there. There his such huge potential in the insole and sock market. If this technology they have developed really does work as good as they say, then there is definitely a heck of a lot of money to be made. Now if you are thinking about getting involved in the business opportunity then you MUST know that it is more difficult than it seems. 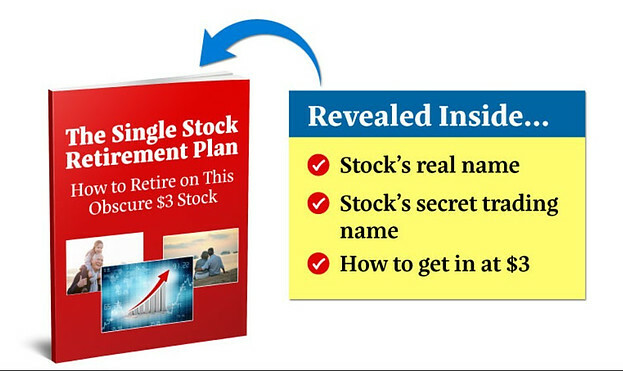 These sorts of opportunities are always presented as some incredible way to make money and live a life of financial freedom, but the reality is a little bit different than that. The pyramid structure that MLM’s have actually make it more difficult to make money, in particular for those who are new to join and are low in rank. The reason for this is because money is siphoned out of the pockets of those low on the pyramid and given to those above them in the form of commissions. It certainly serves as a great incentive to try to move up the ranks so that you can earn more inclined your way to the top, but it also makes it more difficult to do such. Why not just eliminate the whole pyramid structure and allow people to earn higher commissions on the products that they sell? Well… This would make it easier to start out but then there wouldn’t be the potential to build a massive team underneath you and earn large amounts of money. What you also have to realize is that the products being sold here are overpriced. Now of course this is just my opinion but I think many people out there would agree with me on this. I don’t care about the all the HPT technology… It still just a small little sock made of a little bit of fabric. Try selling these and you will likely quickly realize that many people will agree. Unfortunately there is no earnings disclosure presented by VOXXlife so I can give you any numbers to look at as far as how much associates are actually making you join this opportunity. However, I am willing to bet that isn’t very much on average. I’ve reviewed many different MLM opportunities and they are all the same when it comes to earnings… A very small percentage of people at the very top of their pyramid -like structures earn the majority of the money while most people don’t make all that much. I wouldn’t call VOXXlife because they do sell legitimate products and their MLM structure is legal, but after reading this you can probably see why many people do call this place a scam… and so can I. The bottom line here is that their products are overpriced and there opportunity is often promoted in a bit of a misleading way. 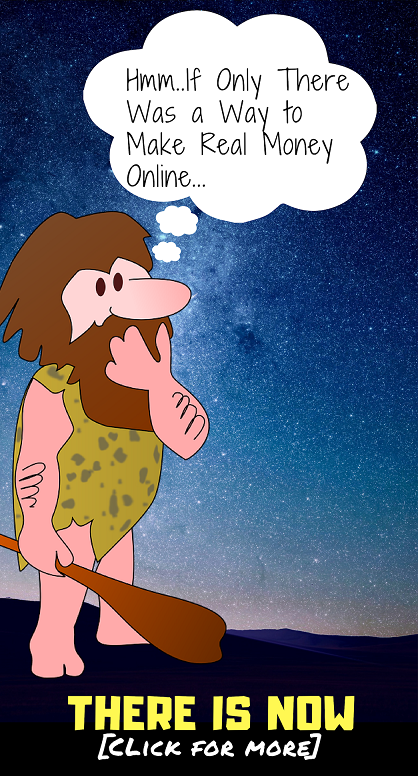 MLM’s can be very luring because they present a lot of potential to move up through the ranks, but very few people actually succeed in these types of businesses, which is the reason they have extremely high turnover rates. Now associates that are trying to recruit you and will often tell you that people fail because they don’t try hard enough and things like that, but the reality is that with a pyramid-like structure the majority of people are bound to struggle and fail… Because there are always going to be many more people at the bottom of the structure than at the top due to the pyramid shape of it. Anyways… I hope you enjoyed this review and found it insightful. And also, if you know anyone who is involved in this MLM and has a cult-like mentality (which is pretty common for MLM’s) you should tell him to read this. What Is The 90 Day CBD Challenge? – Another Potential Scam? They claim that you can start earning big commissions selling CBD products in just 90 days, with no inventory or special skills, but is there a catch to this? 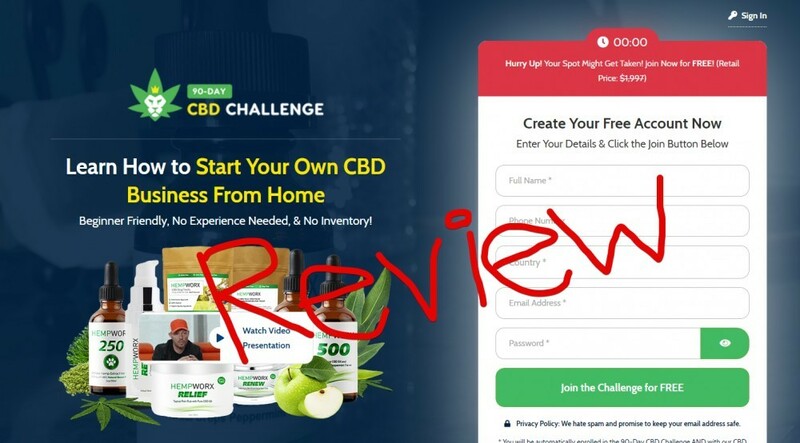 What is The 90 Day CBD Challenge exactly and what should you know about it before getting started? Is it a scam? Well… One thing is for sure… You definitely should read my review here before getting started because there is some important information that is often left out. Of course they only tell you all the good stuff and leave out some of the downsides to this challenge. The cost to join is free, which is nice. Supposedly the normal price is $1997, but at this time it is free. Who knows though, this might just be a marketing stunt. You see this kind of thing all the time. You may also be wondering, well how can this training possibly be free? Don’t the people that put together have to make money? The answer is Yes, and they do make money. do. Don’t worry, I’ll go over all of this. 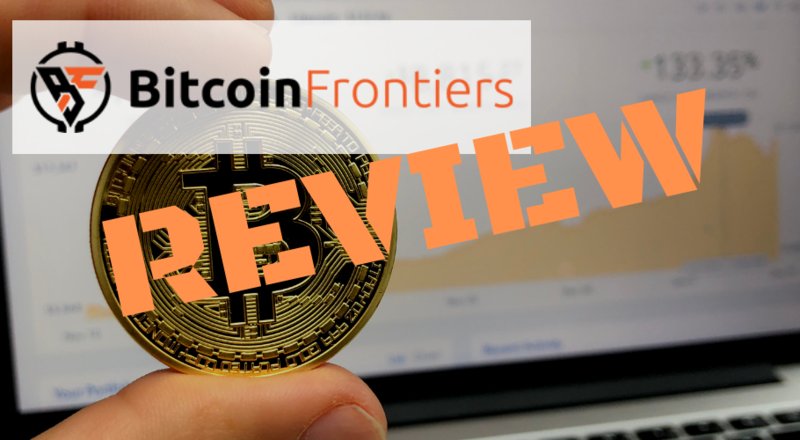 In this quick review I’ll go over what exactly the challenge is, I’ll be showing you inside the program, how it works, how much money people can realistically make and more. What Is The 90 Day CBD Challenge? In a nutshell, The 90 Day CBD Challenge is 12 week training program where you can learn to start your own online business selling highly over-priced CBD oil products and earning big commissions. But there is more to it than just that. It could also be called a marketing funnel system to promote a CBD MLM company called HempWorx. Basically it’s a training program that teaches you how to make money by partnerting with the company mentioned above. Confusing I know… But I’ll break it all down for you so that you know exactly what is going on here before getting involved. The creators of this training program are Chris Record and Peter Serenson, both of whom have been very successful in the online world and have started multimillion dollar businesses in the past. I’m personally more familiar with Chris, who is the cofounder of Tecademics and also the creator of Lifepreneur, because some of his programs have caught my attention in the past. But anyways… Neither of these guys are going to put out a crappy program. So right from the start I was expecting this 90 Day CBD Challenge to be at least a pretty decent training course. But before I get into what you actually get inside the course, I first want to talk a bit about CBD, and why this is becoming such a popular business opportunity. If you do a few Google searches you will likely find a lot of reputable sources saying that the CBD market has quite a promising future. An article on RollingStone says the CBD market could hit $22 billion by 2022 and Forbes says the market could grow by 700% by 2020. There is no doubt that it has a lot of potential. Sure, you may already be wishing that you got in sooner, but there is still a lot of future growth that will likely happen, so it is definitely not too late. Most people didn’t want anything to do with it originally. They associated it with getting high because it comes from the cannabis plant. Makes sense, but CBD won’t get you high and this misconception early on has slowly been disolving and opening up an absolutely massive market. CBD is what is called a cannabidoid, and is one of many inside the cannabis plant. THC is the cannabidoid that is responsible for the high effect that comes from smoking marijuana. It is completely different. In a nutshell, CBD is a substance that is extracted from the cannabis plant, and usually is extracted from the hemp variety, not marijuana. There are several reasons why the market for CBD is so massive. 2) It’s completely new to the market. Sure, people have been smoking and ingesting this cannabinoid illegally for years, but now it’s heading mainstream and you can buy it completely legally. Overall the CBD market is without a doubt a good opportunity, which is why you see so many businesses and, in this case, a marketing course capitalizing on this newfound opportunity. So this 90 day challenge is completely free to join and will give you access to the training. Basically all you do is enter your email, name, create a password, and you have access to the members area. However, there is sort of a “catch” that I will go over shortly. Because, although the training is free, if you want to follow along it will not be free. You’ll understand what I mean in a second. Over to the left-hand side of the screen you have all of the lessons outlined. Each week is focused on something different that is important to starting your CBD business. You have some training on setting up a website, marketing and branding, the legalities of this business, advertising, building an email list and so on. From the looks of this it is a pretty well-rounded training course that goes over all the important aspects of starting a business of this kind. HOWEVER, at this point you are still probably wondering how the heck you’re going to be making money with the CBD business that this challenge is training you on. So basically you won’t be creating your own CBD business, but rather you will be partnering with an existing CBD business, called HempWorx (used to be named My Daily Choice), which it is a MLM company that sells CBD oil. You will be an affiliate for the company. So what you will be doing is promoting HempWorx and their CBD oil products in order to make money. It is not like this training is going to be showing you how to build your very own CBD oil business. The first option you have is to just continue as normal. Yes, the training is FREE, but being an affiliate for HempWorx is not. But this only costs $20 so it’s not a big deal. If you do this you will get a new training video released to you every day throughout the entire 90 day program. Now this may be frustrating to some. This is something that someone else brought up and I totally agree with it. Many people out there getting involved with this aren’t going to have the patience of a 90 day, 1 video per day, course. I can see how this would be beneficial because then you are forced to take your time and not rush things. But we want money fast… right? If you want to unlock all of the training right away, which I can imagine many people do, then you can upgrade your account to the Executive Level inside HempWorx. I’ll go over this in more detail next, but HempWorx has multiple levels, or ranks, within the company. The higher up you are the more ability you have to earn. In this case you can simply buy your way up the ranks to that of Executive. If you want to go this route it is going to cost you a hefty price. It costs $599 plus you will still have the $20 fee to be an affiliate. As I briefly mentioned earlier, HempWorx, which is the company you will have to partner with as an affiliate if you want to follow through with the training, is a MLM business. This means that there is a hierarchal structure within the business and you can earn money from the efforts of those beneath you. 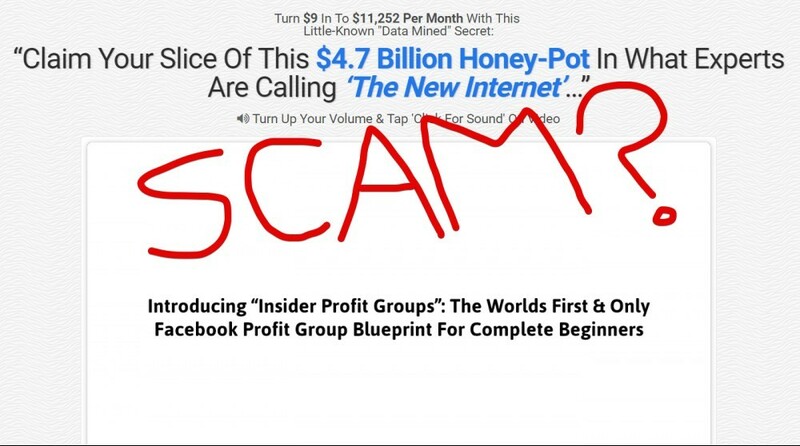 A lot of people call these businesses pyramid schemes, although they are not. They do however have a pyramid-like compensation structure however. As in affiliate you will be able to earn money in 2 basic ways, by earning retail commissions from actually selling the CBD oil products, or… By recruiting in other affiliates beneath you and earning commissions based on their efforts. 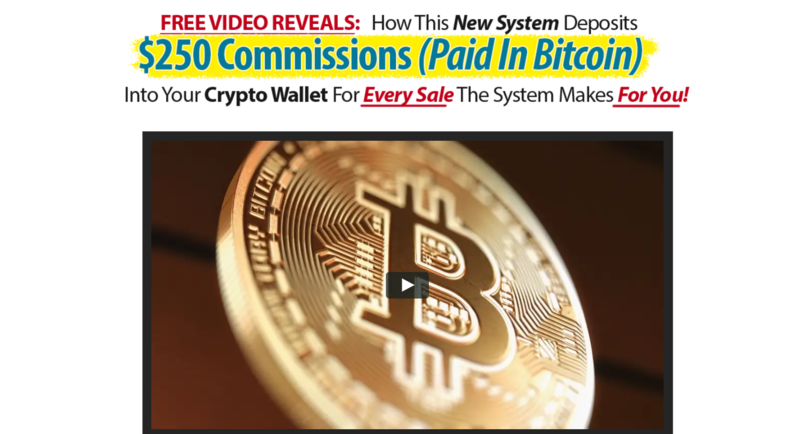 So basically it is a big pyramid-like structure where affiliates recruit in other affiliates and earn money based on the commissions that they make from recruiting in others and selling retail products. There or a variety of other ways to earn as well, but they all contribute to this pyramid-like MLM structure. Ranks are important. For example, in the chart above you can only earn level I commissions if you join as an Active Affilaite, but if you join as an Executive Affiliate, you will be able to earn down 4 levels right from the start. Pretty much the goal with all of this MLM stuff is to move up the ranks and make more money. The further you move up the ranks, the more of the compensation plan you unlock and get access to. And of course, moving up the ranks is all about building your “team”, which consists of other affiliates that have been recruited in beneath you, which is accomplished via recruitment. Okay… So this point you may be pretty confused. I’m trying my best to explain, but I definitely understand how this would be one heck of a mess to try to understand. In a nutshell, a tiny tiny nutshell, The 90 Day CBD Challenge is a marketing system for HempWorx. They say “hey join our free training and build your CBD business”, and while the training is free you are coaxed into joining HempWorx… And then further pushed into buying in at the Executive level. After you go through the training you will have to ways in which you can earn. You will be able to either promote The 90 Day CBD Challenge and earn commissions when people buy into HempWorx through the training funnel, or you can simply promote HempWorx and their products without the use of The 90 Day CBD Challenge. Are You Going to Get Rich Off This? 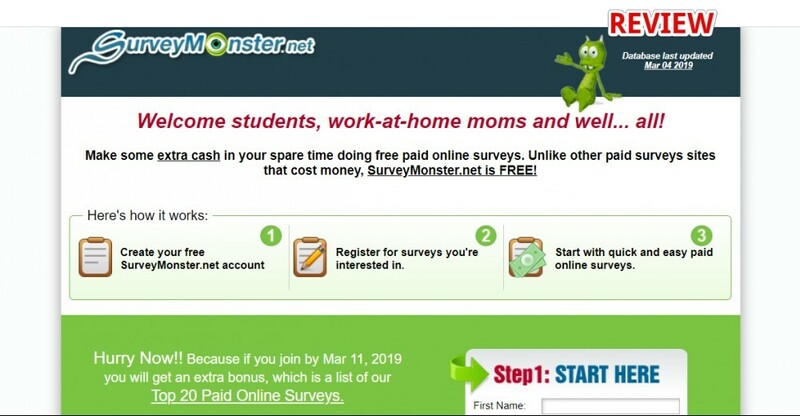 Of course this opportunity is presented as one of the greatest things to ever bless this earth, but it seems like every “make money online” opportunity is promoted in this sort of way. And sure, you definitely “can” make money doing this, but “will” you? These are 2 different questions. As shown above, even those who are at the rank of Executive are still only earning a monthly average of around $90.52, which is pretty darn horrible. And the people at the lesser ranks are earning even less on average. There is a good post on Reddit explaining this all too. So it costs $599 to join at the Executive rank, but you are only going to be earning an average of $90 a month??? Well… It’s a bit more complicated than that. The challenge and training should help. The chart above is for all HempWorx affiliates, most of them doing their own thing. Since you have the challenge training and all you definitely have at least somewhat of an advantage. Now how much of an advantage? Who knows… Your guess is as good as mine. I would not call The 90 Day CBD Challenge a scam. However, I can see how some people who joined the free training may feel a bit like they were taken advantage of after they find out they have to spend money. That said, you shouldn’t really be expecting to get involved in some sort of business like this without spending any money at all. All in all I definitely do not consider this a scam. They provide good training and a good program overall, that you definitely can make money with. Also, as I already went over in the beginning, both of the creators have at least decent reputations with programs like this. 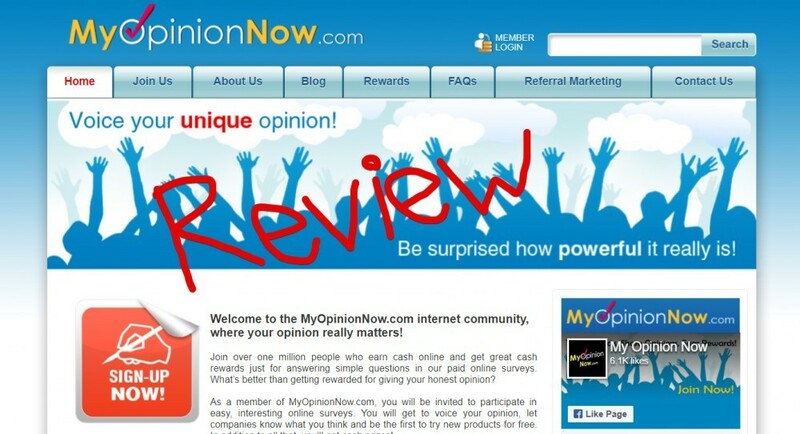 Conclusion – Is It Worth Signing Up For? Now this is a very tough question to answer. Personally I don’t care for MLM’s at all. Not one bit. While they do have a lot of potential for making big money, their pyramid-like structures make it very difficult for those on the bottom to earn decent amounts and often creates a problem where very very few people at the very top are making the majority of the money, which is why they have such high turnover rates. This fact is reflected in the income statement I showed above. BUT… This isn’t just a MLM opportunity. 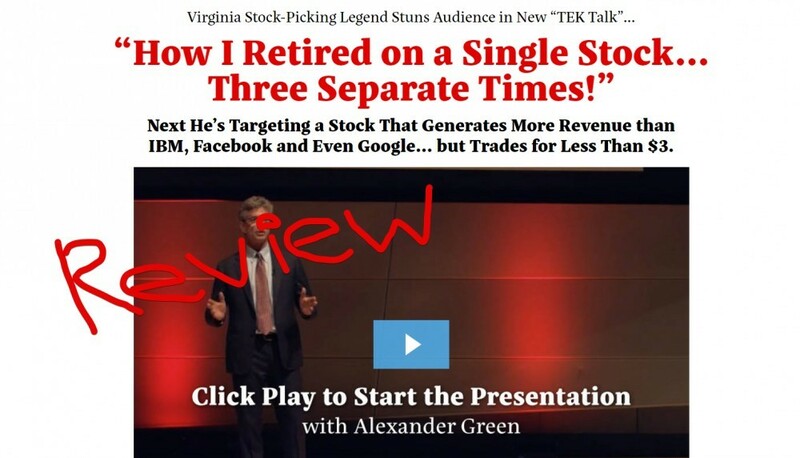 You are also getting access to this training funnel which should make things a little bit easier for you. But again, there is definitely no guarantee that you are going to make much. I’m not personally going to be promoting this program, but I also am not going to be telling you to avoid it at all costs. This one is up to you. If you are looking for something that is a little more beginner friendly and not so complicated, I would suggest taking a look how I went from $0 to over $6,000 a month online. It has nothing to do with selling CBD oil or anything like that, but if you’re just looking for a good way to make money online I would highly recommend it.